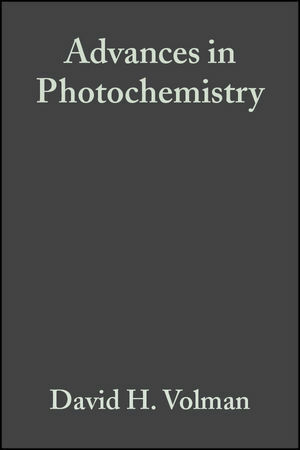 "[Provides] a wealth of information on frontier photochemistry . . . could easily serve as a definitive source of background information for future researchers." "The overall quality of the series and the timeliness of selections and authors warrants continuation of the series by any library wishing to maintain a first-rate reference series to the literature." David H. Volman, professor emeritus, chemistry, was born in 1916 in Los Angeles California. He received his BS and MS degrees in chemistry from UCLA in 1937 and 1938 and his Ph.D. from Stanford University in 1940. In 1940 he joined UC Davis as an instructor and junior chemist but left during World War II to work as research chemist for the U.S. Office of Scientific Research and Development. George Simms Hammond was an American scientist and theoretical chemist who developed "Hammond's postulate", and fathered organic photochemistry - the general theory of the geometric structure of the transition state in an organic chemical reaction.